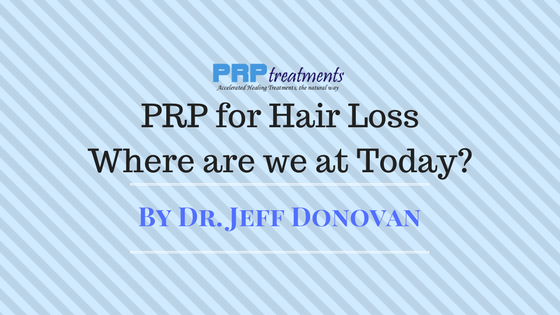 The following post was guest written by Jeff Donovan MD PhD who is a Dermatologist, specializing in hair loss our of Vancouver, Canada. Platelet rich plasma (PRP) for treating hair loss have been popular for about 6-7 years. Opinions vary, even amongst experts, as to how well it works. The medical journals are filled with both good studies and poor studies which makes deciphering the real evidence challenging for both physicians and the public. Here we take a look at two studies which seek to carefully examine the evidence about the use of PRP to treat androgenetic alopecia (male and female genetic hair loss). This type of hair loss occurs in 40 % of women and well over 70 % of men. Platelet Rich Plasma (PRP): What is it? PRP is a type of treatment that involves rapidly spinning a patient’s blood in a machine in order to separate it into various components. 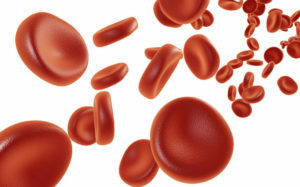 The so called platelet rich plasma fraction of the blood is rich in a variety of growth factors that such as epidermal growth factor (EGF), vascular endothelial growth factor (VEGF), platelet derived growth factor (PDGF), insulin-like growth factor (IGF-1), and fibroblast growth factor (FGF). Numerous studies show that these growth factors are able to simulation proliferation, cell survival, differentiation and new growth of blood vessels. It’s remarkable that our own blood contains these growth factors since purchasing each of these growth factors individually would be prohibitively expensive. Does PRP actually help hair loss? There are several ways that one can go about determining if PRP actually helps hair loss. One can scan the internet. One can ask an expert professional. One can scan the medical journals. Each of these steps is met with some confusion. The internet contains numerous positive and negative reports of PRP. Some of the more positive reports claim it helps everyone and is a true miracle treatment. Yet when one asks an expert in hair loss both thumbs up and thumbs down views can be obtained. Even the medical journals have studies showing benefit and studies showing limited responses. A meta-analysis is a clever type of study. 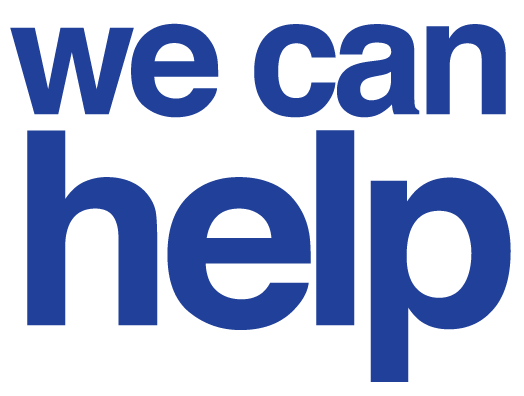 This type of research study examines all the studies ever published in medical journals for the purpose of determining if a treatment actually helps. A meta-analysis tends to be extremely strict and rigorous. In reviewing all studies, a meta-analysis discards studies that are poorly performed or lack certain criteria. Statisticians who are involved in a meta-analysis only examine worthy studies. Simply put, they completely ignore the bad studies and focus on the one’s that were properly conducted. To date, there have been two meta-analyses published regarding the use of PRP to treat androgenetic alopecia. In 2017, Gupta and Carviel included 4 studies in their meta-analysis of the use of PRP to treat androgenetic alopecia. These four studies were deemed to have adequate data to make reasonable conclusions. The remainder of the studies were discarded and not included in their analysis. The authors concluded that PRP was beneficial to treat balding. Compared to baseline, their data showed that PRP treatments were associated with increased hair growth. G iordano and colleagues performed the second meta-analysis ever conducted on the use of PRP. This research group included six studies of over 132 patients into their meta-analysis studies. They key to their studies was that they only allowed studies that had some type of control group to be included into their statistical analysis. All 6 studies involved PRP performed with different techniques. Four of the six studies were randomized controlled trials (the highest quality type study) and two were weaker in their design being retrospective type studies. Reviewing the benefit of PRP is not an easy task. In the present day, every clinic does PRP a bit differently. Some physicians performed PRP every month, some every 4-6 months. Some use small volumes of blood, others use large volumes. Some use PRP that contains white blood cells and red cells, others do not. Some use PRP at concentrations 3 times above the level in the bloodstream and others use PRP at concentrations 6-7 times higher. Some physician ‘activate’ the PRP with calcium or thrombin, whereas others do not. There is no standard treatment for PRP which makes it difficult to compare. Most studies to date on the use of PRP to treat androgenetic alopecia are small and poorly controlled. Despite these challenges, a meta-analysis comes the closest to looking at what really helps. These message from these two meta-analyses is largely the same: PRP sends a growth promoting signaling to hair follicles. How often should PRP be done? There are many different protocols for performing PRP. Some clinics perform the procedure every few months and see how the patient responds at some time point in the future. Other clinics perform the procedure monthly for 2-3 times and then reduce the frequency thereafter. At present, there is absolutely no good evidence to support one protocol over another. How much blood should be taken from the patient? Some PRP procedures call for extremely small volumes of blood (ie 10 mL) whereas other protocols make use of volumes up to 180 mL. There is often an assumption that the more PRP that can be produced the better. However, this has yet to be definitively proven. What machine should be used? There are now a few dozen machines that can be used to produce PRP. Despite the marketing, there is no evidence any are truly superior to another. What concentration of PRP should be injected into the patient? The PRP that is ultimately injected into the patient can be titrated to a variety of concentrations. This is generally 3 to 7 times above the level in the blood. This number comes from studies in wound healing which suggest that concentrations in the order of 3 times to 5 times produce optimal wound healing. The optimal concentration for PRP in the scalp is completely unknown. What settings should be used on the PRP machine? A variety of settings are possible for most commercially available PRP machines. This allow the PRP to be produced with varying amounts of red blood cells and white blood cells. Although pure yellow PRP looks nicer in a syringe before it is injected, the production of such a PRP reduces some growth factors compared to a PRP with more red blood cells in it (ie a PRP that is more red colored). The color of the PRP is a reflection of the “hematocrit” with lower hematocrits generating a yellow colored PRP and a higher hematocrit generating a redder colored PRP. How should PRP be activated? At the end of a typical spin cycle, a physician needs to determine if the PRP will be activated or simply injected in the scalp in the form that it comes out of the machine. PRP can be activated with calcium chloride, calcium gluconate, thrombin as well as other adjuvants. At present, we don’t know the ideal method to activate PRP. Should anything else be added to PRP? Besides the various activators discussed above, a variety of additives are also frequently added to PRP. The most common of such additives is ACell. To date, there are no good studies that suggest use of ACell is better than without. However, more studies are needed in this important area. Is PRP better than standard treatments (such as minoxidil or hormone blockers) and does PRP synergize with other treatments? Finally, we don’t really know where PRP fits in on the standard list of treatments. It clearly fits somewhere. Things that are new often quickly rise to the top of many lists – but time and good research will determine its exact position. Furthermore, we need more research is needed to determine if PRP treatments help other treatments work better including minoxidil, laser and hormone blockers. Gupta AK et al. Meta-analysis of efficacy of platelet-rich plasma therapy for androgenetic alopecia. J Dermatolog Treat. 2017 Feb;28(1):55-58. doi: 10.1080/09546634.2016.1179712. Giordano S, et al. A Meta-analysis On Evidence Of Platelet-rich Plasma for Androgenetic Alopecia. Int J Trichology. 2018 Jan-Feb;10(1):1-10. doi: 10.4103/ijt.ijt_74_16.